Microsun offers three choices for the LED side-socket bulbs in your Microsun lamp. If you use your lamp primarily for reading, choose the Reading LED option. If you use your lamp primarily for crafting or hobbies, choose the Craft Task LED option. If you want the convenience of remote control and multi-light levels, choose the Remote LED option. Please see below for the different LED bulb choices. All of Microsun’s LED bulb options may also be used in traditional lamp sockets as they are high color rendering and extremely energy efficient, producing 5 times more light per watt than incandescent bulbs. These bulbs are rated to last 30,000 hours, have 90+ CRI. Microsun Reading Light LEDs are 3500K color temperature, which is modeled after mid-morning sunlight. 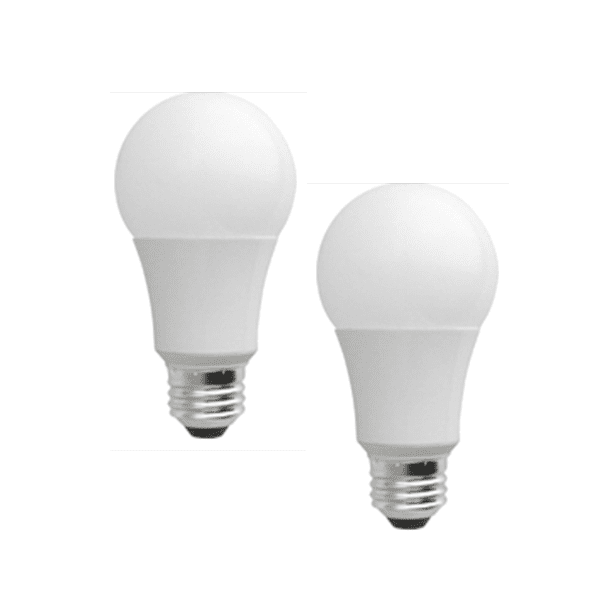 These LEDs produce warm lighting that pairs well with the Microsun Reading Light Bulb. Microsun Craft Task Light LEDs are 4000K color temperature, which is a brighter, white light. These LEDs produce crisp white light that pairs well with the Microsun Craft Light Bulb. Microsun Remote LEDs are the Simple Smart Bulbs which come paired to one wireless remote control. These bulbs have 3 light levels at multiple color temperatures. The low light setting is 3500K, while the medium and high light settings are 4000K color temperature. The Simple Smart Bulbs give you the convenience of controlling your bulbs from virtually anywhere in your home and pair well with both the Microsun Reading and Microsun Craft Task Light Bulbs.